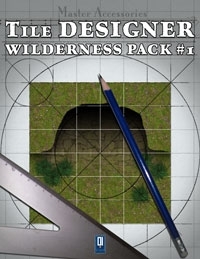 Wilderness Tile Designer is a great PDF, allowing you to build customized wilderness with ease, and here’s a great addition for it: a set of 33 “static” tiles specifically designed for use with the Tile Designer products. 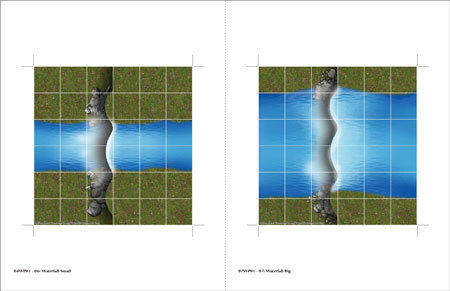 These are 6x6 inches tiles matching the look and feel of the Wilderness Tile Designer (however they can be used for any purpose). 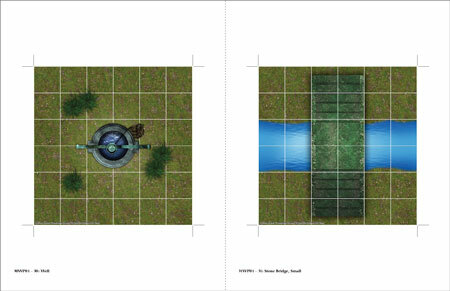 The tiles add objects, lakes, waterfalls and features not available in WTD. 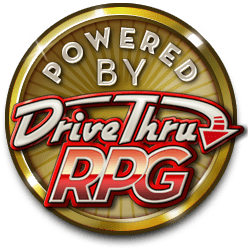 The tiles can be use as starting point for building new exciting wilderness as well as to craft unique open areas. This title was added to our catalog on June 24, 2008.